Ferrari 488 GTB Running Costs, MPG, Economy, Reliability, Safety | What Car? 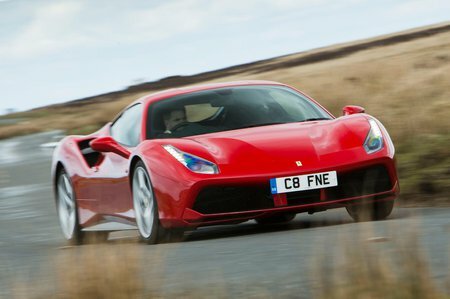 The Ferrari 488 GTB costs not far off £200,000 and it’s easy to push that price over £250,000 once you’ve added a few choice options. It’s clearly only for the fabulously wealthy, then; people who will also find it easy enough to afford the huge insurance, servicing and fuel bills. That said, key rivals such as the Lamborghini Huracán and McLaren 650S are similarly expensive to buy and run. Cheaper but almost as rapid options include the Audi R8 and Porsche 911 Turbo, although they don’t have quite the same cachet. The list of standard equipment includes sat-nav, cruise control, rear parking sensors, an alarm and a tracker. Even seemingly minor extras will add thousands of pounds to the bill, though. Staggeringly fast and capable. One of the best supercars on the planet.